From sustainable houses to sophisticated office buildings and community recreation centres, you can help design and build residential, commercial and institutional spaces that will shape our communities and the way people live. Designers and project managers in architectural and consulting firms. Project coordinators and estimators in construction. Technical and sales representatives for manufacturers. Municipal zoning and building plan examiners and inspectors. *Source: Employment Profile Provincial Report, Ministry of Training, Colleges and Universities. Architectural Technologist, Quadrangle Architects Ltd.
Draftsperson and Estimator, Geertsma Construction Ltd.
Creative problem solving and real-world skills will build the buildings and cities of the future. In this program, students will learn the significance of architecture to human culture and how buildings are designed, developed and constructed. Learning combines studio work, classroom instruction and field trips to study the design and construction of major construction and renovation projects – working independently and in teams. Develop skills in manual and computer design and drafting (CADD), and then create 3D models using the latest software in our state-of-the-art design studios. 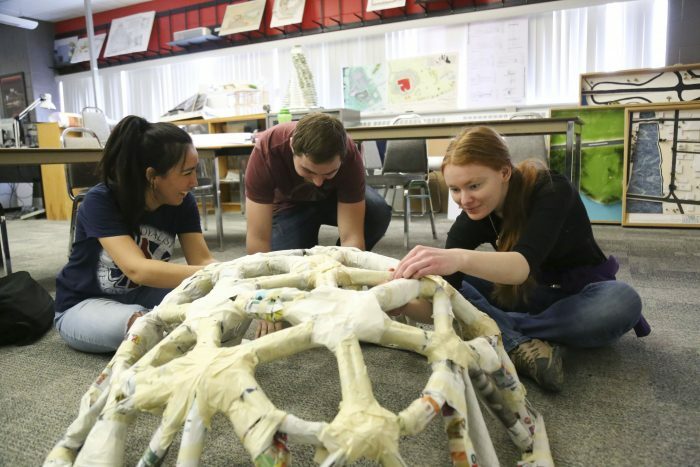 During independent design projects, students determine a structure’s physical needs, and design solutions that creatively address the use of space, materials, codes, structure, construction methods, zoning and the environment. 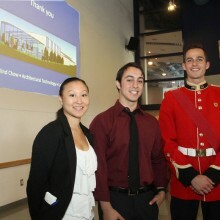 In their last year, Technology students use 3D modelling software to design a public facility in a local community. Learning is hands on, in brightly lit studios with dedicated teachers. 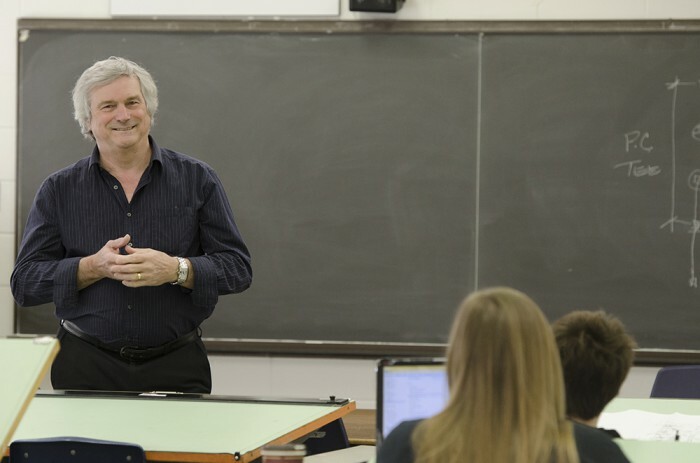 Professors have broad experience in architectural firms, working on everything from schools to seniors’ residences, churches and commercial renovations. Learn from an accredited Architect and LEED AP, specializing in integrating sustainable techniques in architectural design. 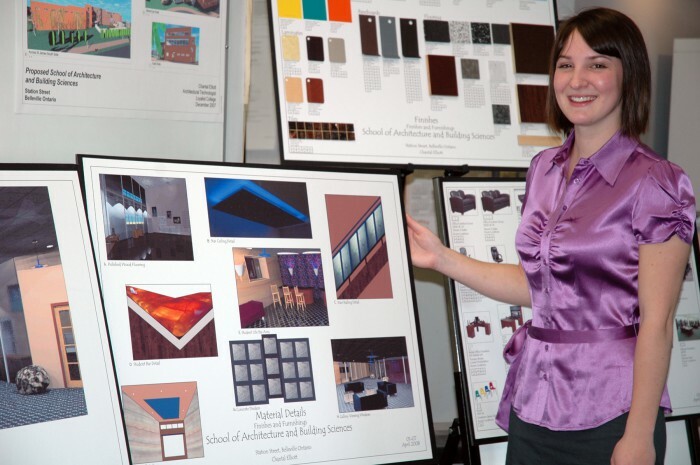 A wide network of faculty contacts in the construction and design industries helps connect students with jobs. 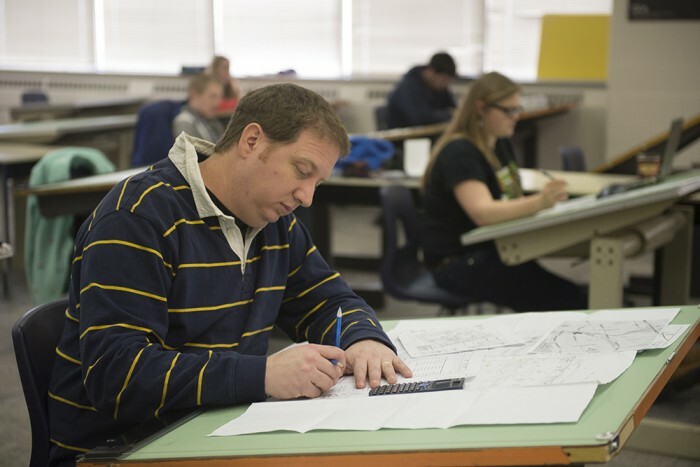 After the first two semesters, students earn a certificate in Residential Drafting and Design Techniques. Upon graduation, they have the option to continue into year two of Architectural Technician/Technology (see courses tab). Students develop plans, elevation and sectional views of spaces in a single family residential building. Emphasis is placed on the use of instruments, line and lettering, dimensioning and drawing organization. This course will include a component of free studio time or self-directed learning. This course is an introduction to the laws and regulations that govern construction within Ontario. 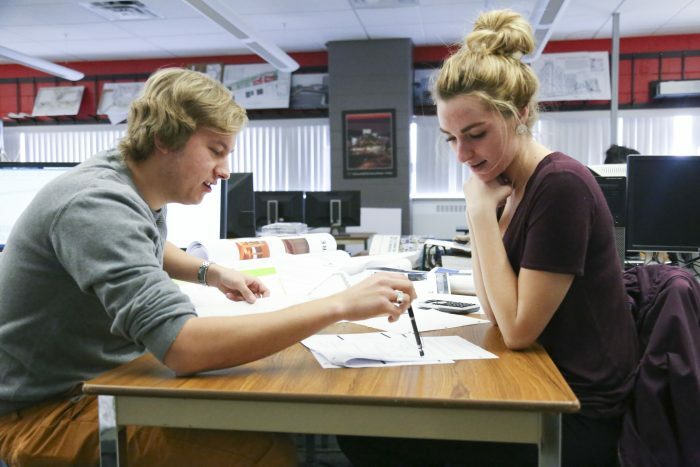 Students examine the Building Code Act and the Ontario Building Code. Emphasis is given to examining typical construction methods/standards of construction and how the code governs and shapes these practices. 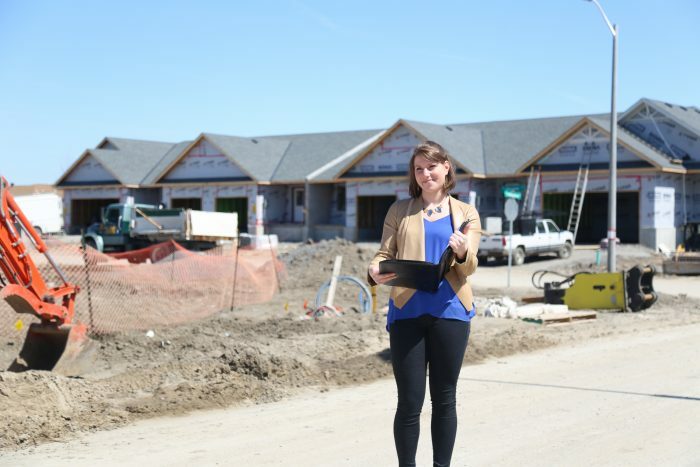 Part 9 of the Ontario Building Code is a major focus with particular attention to site work, footings, foundations, main floor systems and stairs. The roles and responsibilities of architectural and construction professionals are stressed and examined through the Building Code Act. 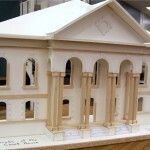 Students learn the properties, characteristics and uses of common and leading-edge building materials. Students are able to research, analyze and select appropriate materials for various construction applications. The course starts with an introduction to computer applications, Windows and Microsoft Office Suite, including Word and Excel. The development of basic drafting skills using AutoCAD software will occupy the bulk of the course. Students will also be introduced to Google SketchUp. This course is designed to help students understand the application of basic mathematical concepts in the field of building technology. Emphasis is placed on basic arithmetic: algebraic operations, geometry and trigonometric functions. 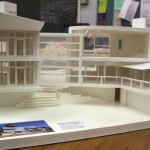 Students experiment with a variety of architectural presentation techniques. Exercises include a final presentation drawing, an oblique drawing of a building interior and a one-point perspective of a residential interior. Students develop critical awareness of the role of design in society and the impact of design on the natural and built environments. 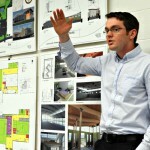 Students gain knowledge of various design and problem-solving processes. 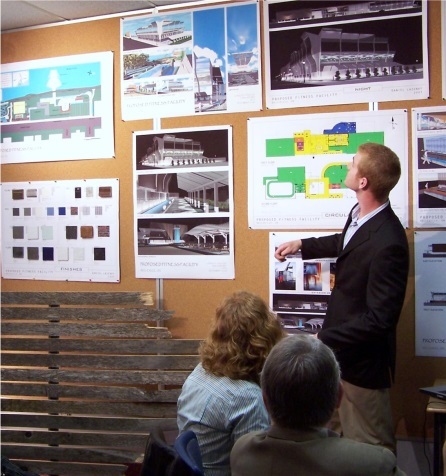 This course is a continuation of Architectural Drafting Studio 1. 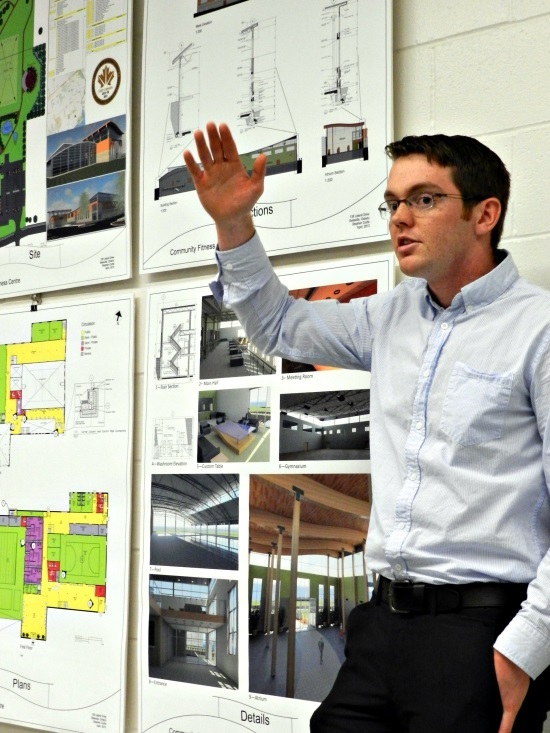 Students develop selected drawings for a multi-unit residential building. This course deals with the design and construction of exterior walls, roofs, and structure of residential wood-framed structures. Section 9 of the Ontario Building Code is specifically referenced. There is an emphasis on insulation and building membranes. Alternative residential construction techniques are also introduced. This course is a continuation of CAD 1. Students learn techniques for scaled drawings, text and dimensions. Functions are applied to the preparation of a set of permit drawings for a house design. 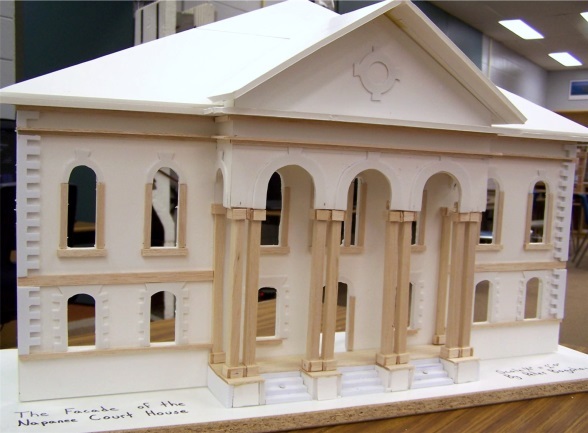 Students develop a design for a small building that must meet program and code requirements. 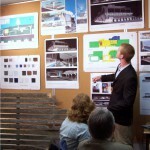 The project is developed and presented using architectural presentation techniques. This course focuses on the principles of sound, heat, vapor transmission and light; their application to subjects such as acoustics, insulation, moisture protection, natural and artificial lighting; the establishment of selection criteria; the fundamentals of fire, corrosion, expansion and durability, including assessment through materials testing; the role of standards publishing agencies and the relationships to codes and standards. Students explore historical design masterpieces of our built environment. The course attempts to answer design and technical questions about our most famous structures and designers. Students solve and present solutions to problems of a practical nature related to elementary statics, including equilibrium of forces, moments and truss analysis. A continuation of CAD 2, this course adds to the use of computer applications involving Windows 7 Pro as an operating system. The course provides students with the fundamental skills necessary to manipulate and manage electronic files on both a PC platform and the associated backup media. Advanced 2D drafting skills will be developed through the use of a production-level CAD program (specifically AutoCAD). Drawing skills specific to the AEC industry will be highlighted as an extension of the Project Coordination course, as well as Building Construction, Codes and Standards. 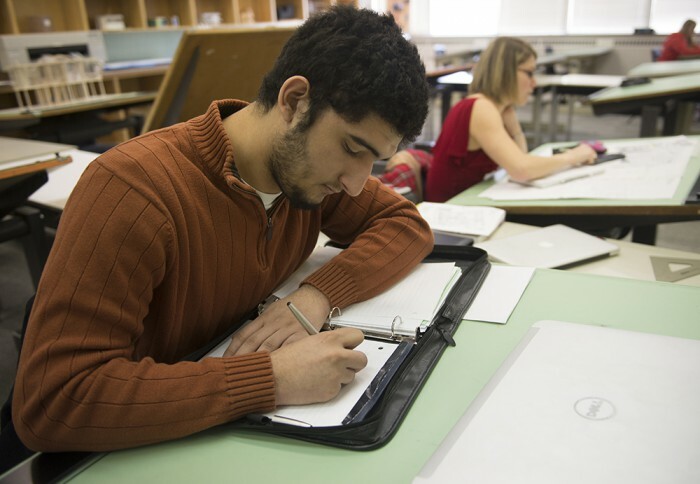 Students become acquainted with basic drafting standards and fundamental file organization techniques. 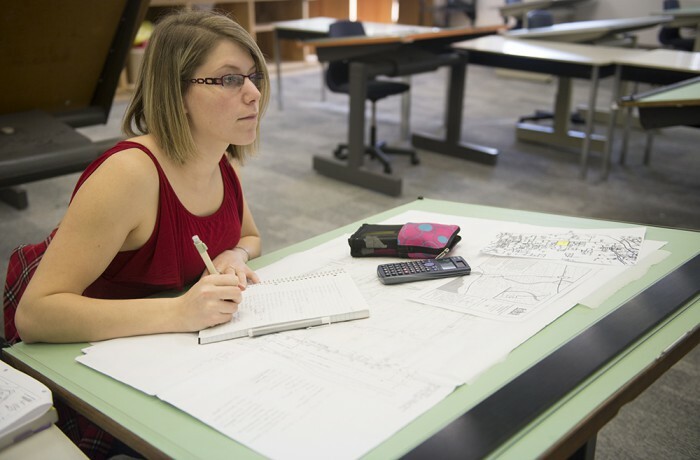 Through the preparation of contract documents, students are introduced to the techniques needed to prepare scaled drawings, including appropriate use of symbols, text and dimensions. Advanced AutoCAD functions are discussed, specifically for Blocks and Wblocks. A partial set of working drawings is prepared for a commercial building, which is coordinated with drawings for the same building as prepared in Building Construction, Codes and Standards 3, Project Coordination and Research, and Architectural Drafting Studio 2. Techniques for masonry construction are introduced (covering both concrete and burnt clay unit masonry), and include handling, weather, site and building design considerations. Detailing of wall connections, foundations and roof assemblies are also covered. This course discusses the use of shear-wall structural systems that are utilized for the construction of small-scale commercial buildings, as described in Part 3 of the Ontario Building Code. The referenced structures are principally commercial in nature, although some medium-scale, multi-unit residential structures are also discussed. The discussion revolves around the physical requirements and procedures associated with window and door assemblies, and the methods used for their installation within different finishes, in conjunction with floors, walls and framing of pre-cast concrete and steel-framed roof systems. This discussion will also integrate the fundamental understanding of the functionality and use of vapour/air/moisture barriers and membranes. There is further investigation into the use of the Ontario Building Code, requirements for fire rating for various interior assemblies, and the protection of structural assemblies. The differentiation between combustible and non-combustible materials is highlighted, and their potential impact upon the design of the building envelope and interior layout. The dynamics of the medium-scale structure are investigated, with particular attention to the rigours associated with the Canadian environment. A study of plumbing (water supply, sewage disposal, site drainage), mechanical (heating, ventilating, air conditioning) and electrical systems related to building design and construction. 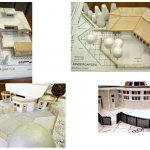 Students develop skills in graphic communication for architectural design through the preparation of drawing and models of case study buildings, as well as the student's own design projects. This course involves the design and preparation of a set of working drawings for a small commercial building. This process will include the research of zoning by-laws, use of the Ontario Building Code and the study of load-bearing construction. 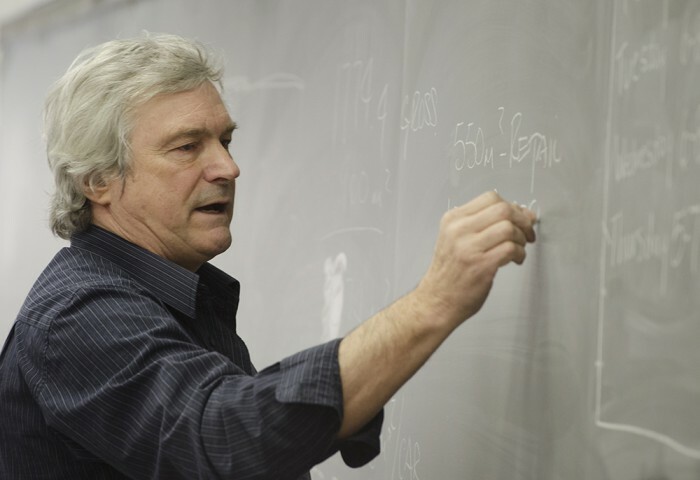 This course provides students with an opportunity to solve and present formal solutions to problems related to elementary structural analyses. Topics include simple stress, properties of materials, geometry of cross section, shear force and bending moment diagrams and beam selection. Students become familiar with and gain an aesthetic appreciation of the architectural, historical and cultural precedence of our built environment. Students also increase their own cultural vocabulary and apply this knowledge of the past to innovations of the future. This continuation of CAD 3 develops the use of advanced functions within AutoCAD and adds to the use of computer applications involving Windows 7 Pro as an operating system. Emphasis is placed on drawing presentation, scaling and coordination. A partial set of working drawings is prepared for a commercial building, which is also coordinated with drawings for the same building, as prepared in Building Construction, Codes and Standards 4, Project Coordination and Research, and Architectural Drafting Studio 2. 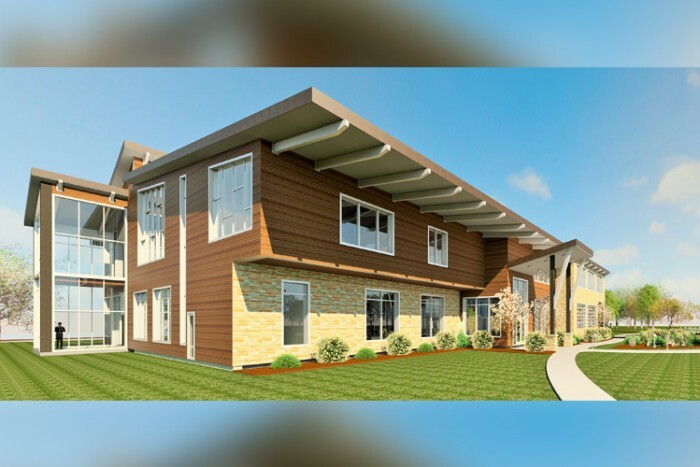 The use of structural steel framing and structural steel stud framing, combined with exterior veneers typical to multi-level commercial building design. All of this is applied to an in-depth analysis of an existing structure, and the study of renovating and "re-purposing" said structure. Non-standard foundation systems are introduced, along with requirements for water control around the building foundation. Students work on extensive drawing assignments and model making that enhance the understanding of building envelope and structure. 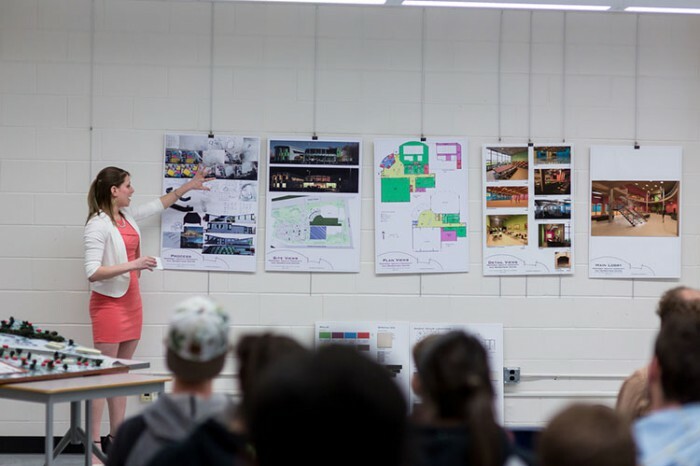 Students develop design problem-solving skills and enhance their skills at presenting architectural concepts through studio exercises. The focus will be on architectural design within an existing urban context. This course provides an overview of surveying fundamentals and knowledge as required by an Architectural Technician or Technologist. It combines field and classroom exercises, introducing the student to the acquisition and application of data in topographic surveys. This is a one-week, five-day comprehensive course. This course is a continuation of Project Coordination and Research 1. Students gain knowledge of structural systems and their components, the principles of structural stability and load transfer. Students develop skills in structural drawing for wood, steel and reinforced concrete structures. Students become familiar with and gain an aesthetic appreciation for the historical and cultural influences that have shaped Canadian architecture. This course deals with the management of building construction projects. Subjects dealt with include planning and scheduling, sub-trade organization, inspection activities and site diaries and records, as related to the duties and responsibilities of the building construction manager. In this course students study structural problems relating to the current core project assignment and prepares framing diagrams and structural details. Software for calculation and analysis are introduced. The design of a mid-sized institutional project for an urban setting, including understanding of predesign, schematic design, landscape design, and design development, AutoCAD is used throughout the design process. This course provides a one-month placement during May in which students gain hands-on experience. Certain tools and techniques have been proven to greatly improve success in finding the best job, and in maintaining or improving employability through ongoing development. Students use proven tools and techniques to help them get the best job. This course will be a careful examination of the process of entrepreneurship. Students examine various sources of the collective wisdom and experience of many small business owners, and the characteristics and attitudes necessary to be a successful entrepreneur. Students continue to study structural problems relating to the current core project assignment and prepare framing diagrams and structural details. Software for calculation and analysis are introduced. 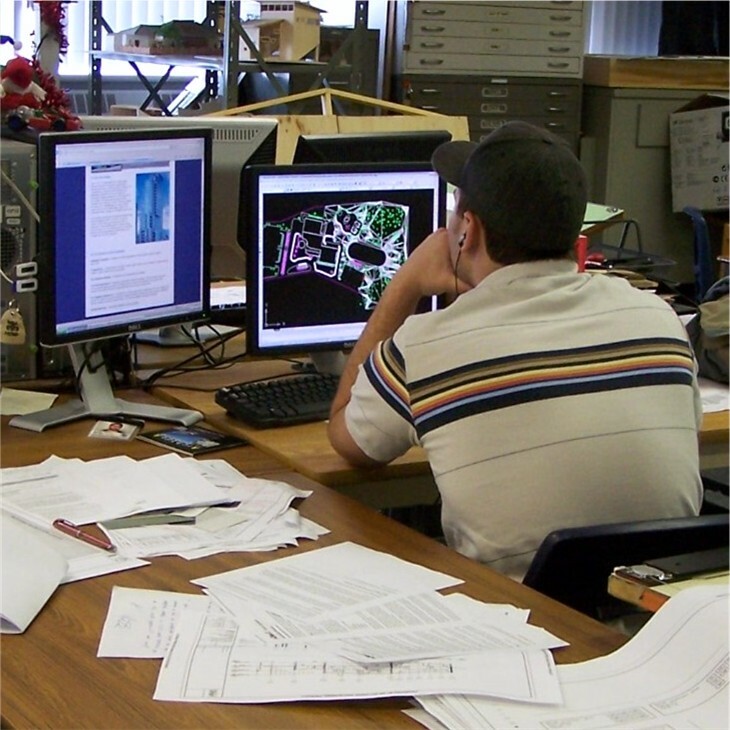 Students develop construction documents using advanced CAD techniques for the project designed in Studio Project 1. The design development of the interior, detailed cost estimates and specifications are produced, and presentation techniques using new media, including 3D computer modelling, are used. McMaster University — Bach. Technology Civil Eng. Infrastructure Tech. 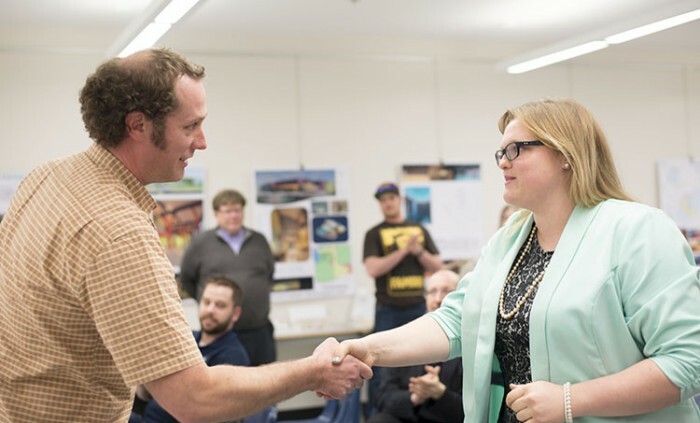 Graduates with a certificate in Residential Drafting and Design gain admission directly into year two of the diploma program. 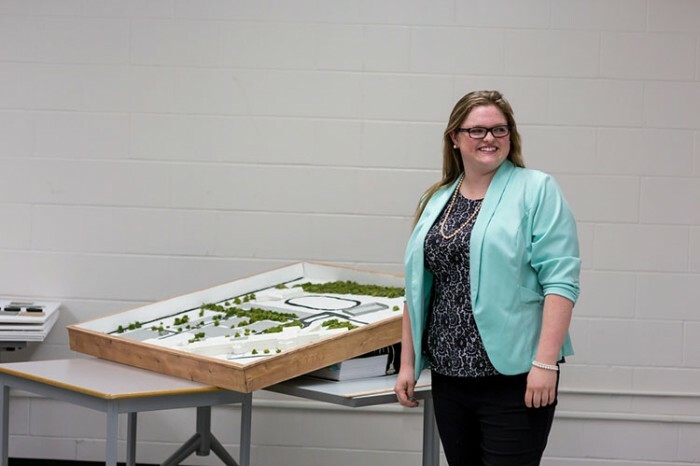 Loyalist Grad Proves Wood WORKS! 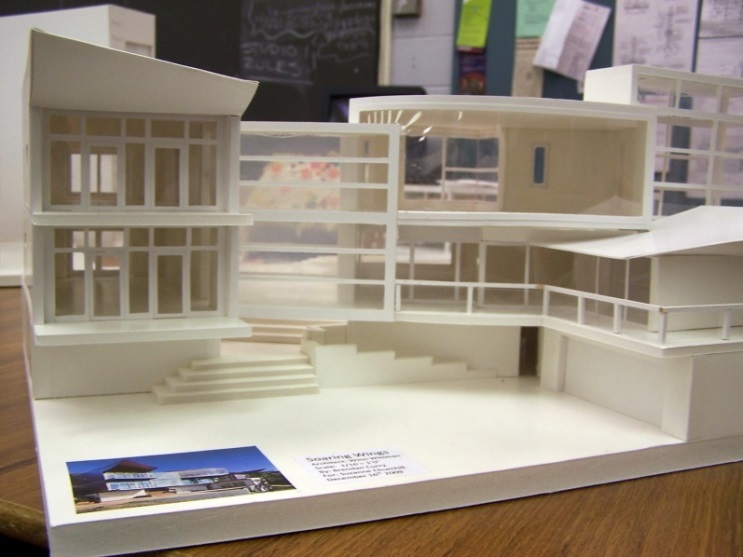 Students bring their concepts to life with 3D scale models. 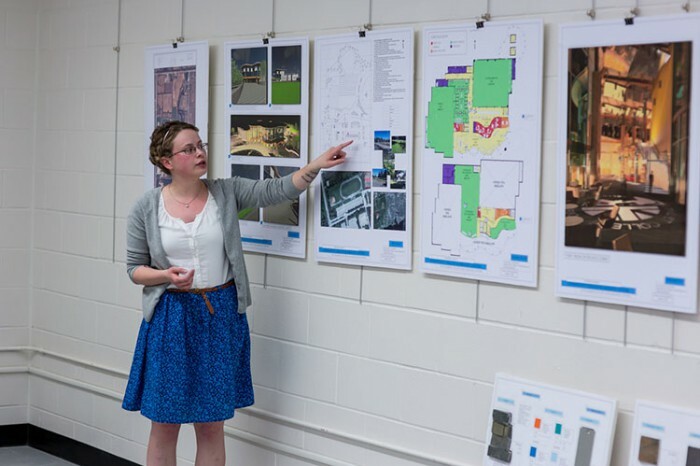 The first-year design class was challenged to create kindergarten designs considering the structure’s physical needs, and designing solutions that creatively address the use of space, costs, code requirements and the environment. These are some of the models they submitted.